In the past three months we’ve worked with over 250 people to get creative with code and explore how tech affects the way we talk. At the halfway mark of our Bit Time project in Basildon, its a perfect moment to reflect on some of the reoccurring themes which have cropped up as we ask people of all ages “how does technology affect the way we communicate”. Our workshops have seen us visit primary and secondary schools, disability groups, home educated families, amateur and community radio groups as well as various local over 50s activity centres – in this blog we’ll look at some of the fantastic creations made through these workshops and what the people of Basildon envisage as the future of communication technology. Creative coding at the Laindon Activity Centre. 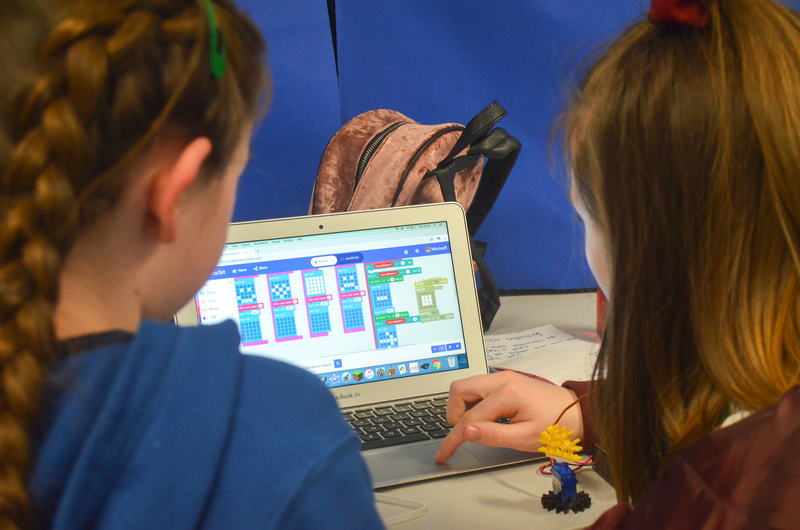 Bit Time is being lead by Signals’ Education Coordinator Frazer Merrick and the project’s lead artist is Laura Trevail, together they’ve devised and delivered a workshop where you can get creative with digital technology and learn some new digital skills. 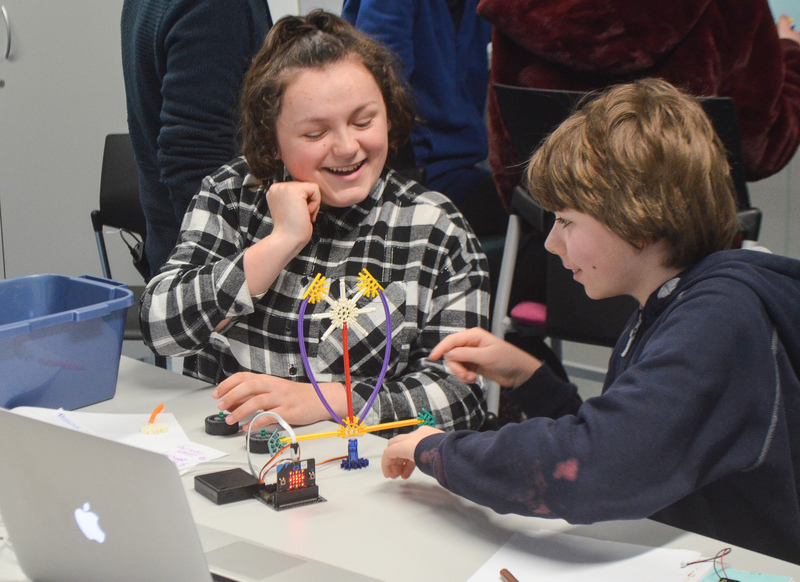 These workshops have gathered and generated stories, memories and artwork relating to past, present and even future ways we communicate with technology. One of the most reoccurring themes with younger participants is how when asked about the future of communication they talk about means of transportation. When given the time to build prototype ‘future communication’ devices ideas included driverless cars, personal flying vehicles and teleportation. This confirms the close ties we often forget between communication and transportation, and how advancements in technology facilitate improvements in both. Making longer distance travel more affordable and facilitating real-time communication all around the globe. This is confirmed when you look at the data in response to question “whats the longest you’ve waited for a reply”, with young people replying with figures in hours/days/weeks and older people replying with figures in months/years/decades. Coding morse code robots using the Microbit micro computer and servo motors. The Bit Time project is all about encouraging everyone to be creators as well consumers. By understanding how our technology works, it allows more people to be involved in the process of designing technology of the future – so that it works for everyone. We encouraged participants to get creative with code by playing with the microbit computer. initially using the device to experiment with morse code, then opening up our custom designed cases to explore the code within the device. 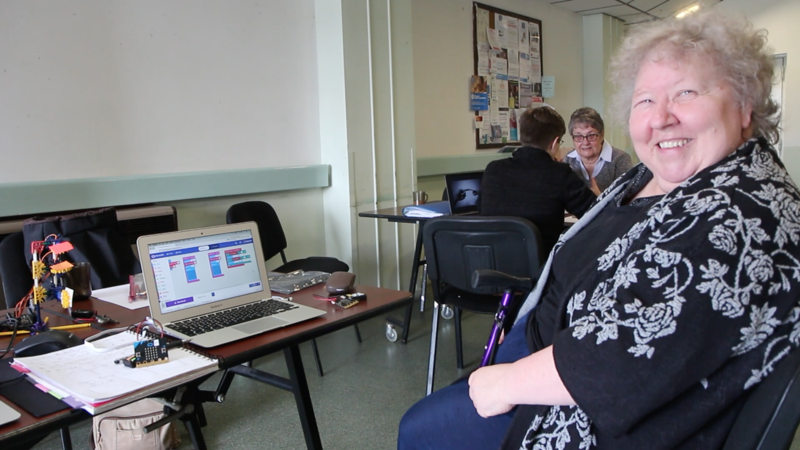 The next step was to re-program the device, creating an opportunity for participants to embed learning by using the skills we demonstrated and making a personalised communication device of their own. For example, the young people at Gateway 97.8’s Radio Club designed a “on air, off air robot”. This would tell you no matter where you are in the building whether the presenter is on or off air, so you can act accordingly. When we visited Basildon’s three over 50s activity centres, we often had conversations about the trade off between convenience and privacy with modern communication tech, such as facebook and even things like online banking. At Pitsea activity centre we got into a fantastic conversation about hacking, and how you can protect yourself and your information. This materialised as creating a microbit which could control traffic lights when your device was on the same (unprotected) channel, explaining the importance of protecting your details but also explaining that understanding how the systems work is just as important so you can make informed choices. The next step of the Bit Time project is to take these reoccurring themes and ideas and develop them into an interactive exhibition. Signals will be working with four digital artists; Emily Godden, Dave Norton, Henry Driver and Sophie Gresswell who will augmenting two phone box sized structures/totems with interactive experiences – all based on the ideas captured during our earlier workshops. From Tuesday 22nd to Saturday 27th April between 9am – 5pm, the Bit Time artists, along with Frazer and Laura, will be based in the Basildon Library Creator Space constructing the artwork. Throughout the week we’ve arranged visits from those who attended our earlier workshops but we also invite those whom we haven’t met yet to come along and join in with the process. You can simply turn up anytime between 9am – 5pm on the dates listed above, if you’d like to arrange a group viewing please contact Frazer Merrick on frazer_education@signals.org.uk or 01206 560255.